These are my favorites from this year. 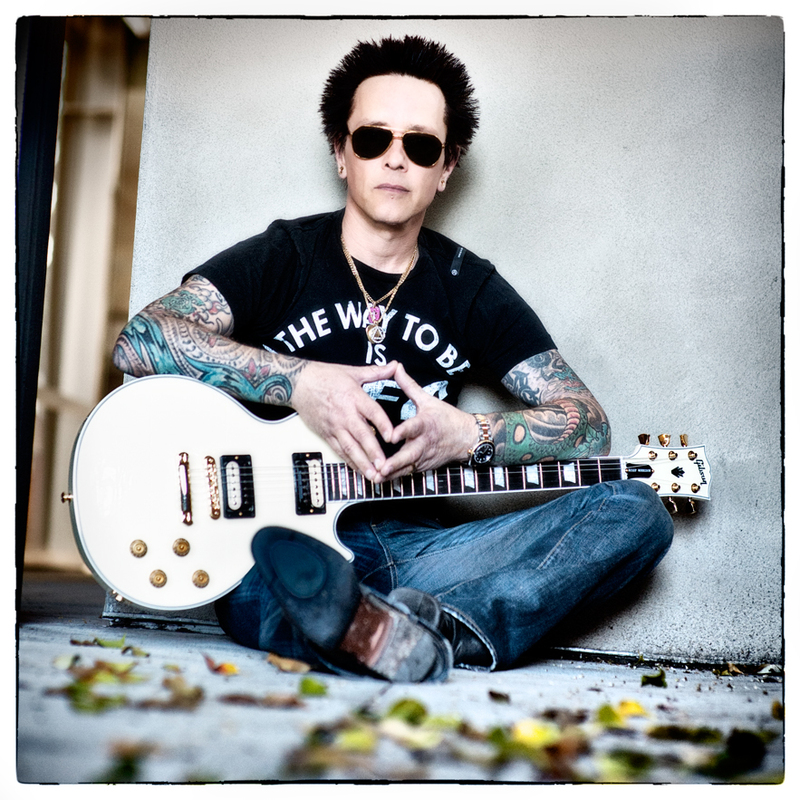 I usually don’t do this type of post but some images this year just stood out to me for a variety of reasons… Here they are..
My favorite photo of 2011 is this shot of Billy Morrison and his Signature Gibson Les Paul. The photo was taken outside the Gibson showroom in Beverly Hills between filming breaks. The Gibson folks were filming a series of interviews with billy to run on the Gibson site and during the breaks, I posed Billy around the room and took some portraits. This area was outside the back door and was lit by diffused lighting filtering past the tall building next door. It is not a live a shot, it is not an action shot and it is cropped square, all things I usually don’t shoot. But I loved it, Billy loved it and for those reasons it is my favorite shot of the year. Photo #2 on this list is a shot I took during a live orchestra performance of the Lord of the Rings at the Valley View Casino Center. This shot of the conductor was shot sometime during the first half of the movie with a 70-200mm lens while sitting on the floor off to the side of the front row. I love the simplicity of the shot. The #3 shot was taken when I was working on my Night and Low Light Photography Photo Workshop book. I photographed downtown San Diego at night and the view was amazing. At this time, it is the only photograph from that book that hangs as a print in my house but that will change soon. For the #4 shot, I go back to what I shoot the most, Concerts. One of the biggest shows I shot this year was the Big 4. Anthrax, Megadeth, Slayer and Metallica took to the stage in Indio CA for a historic show and while I loved shooting all the bands, it was the lighting that made the Metallica set the best photographically. They were the only band to play after the sunset. For the #5 slot on the list, another concert shoot, but this time it was someone who I didn’t particularly care about shooting but the minute he took the stage he just ruled. DMC was one of the performers during the 91X Wrex The Halls show and had the whole crowd (and photo pit) singing along. A sports photo takes the #6 slot. I had not shot a lot of Football before and was really excited to shoot the Poinsettia Bowl. This was one of the shots from that game and while it was really tough to pick just one, the action in this shot was my favorite. Next up are concert shots, and since that is what I shoot most of the time it makes sense. The #7 shot is of Taylor Swift. She put on a great show at the Valley View Casino center and i really liked the way this image looked. This was an easy shoot. Lots of light and plenty of time. Only trouble was that there are plenty of photographs of her and very difficult to get anything remotely new. Camp Freddy played four shows at the Roxy in December and i was lucky enough to be at all four. Not only were they great musically, they produced two of my favorite images. Coming in at #8 is the shot of Dave Navarro, well actually it is the shot of Dave’s guitar neck with the lit smoke waiting there or him. The #9 shot is also from Camp Freddy, this time it was week 2 and the final songs of the night featured Paul Stanley on guitar and vocals. On stage at the Roxy in this shot are Steve Stevens, Chris Wyse, Billy Morrison, Matt Sorum, Paul Stanley and Billy Duffy. Seriously, where are you going to get a lineup like that? Rounding out the top 10 is this shot that graces the cover of the Night and Low Light Photography Photo Workshop book. There are plenty more photos that could have made this list. But when I look back, these were some of the highlights for me….